Kingspan Insulation is one of the world’s most well-known and trusted manufacturers of insulation board. 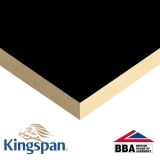 With product ranges like Kingspan Kooltherm and a variety of different Kingspan insulation boards, you can install a reliable and well-made product from Kingspan no matter your application. 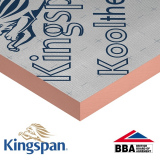 We’re now proud to supply Kingspan’s flat roof insulation boards TR26 and TR27 alongside Kingspan Kooltherm K3, Kingspan Kooltherm K5, Kingspan Kooltherm K7 and Kingspan Kooltherm K12. 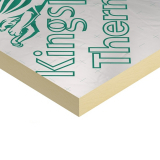 When you purchase insulation board from Kingspan you’re purchasing nearly 50 years of manufacturing experience and insulation expertise as well as a high performance product. 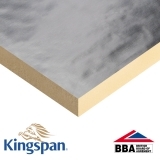 Designed with the construction industry in mind, Kingspan insulation boards are suited for use by contractors and DIYers in domestic properties just as much as they’re suitable for commercial and residential builds. 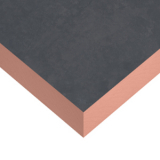 These insulation boards can be installed in walls, pitched roofs, external walls, flat roofs and floors to give your build a well insulated envelope. If you’re unsure of the product that aligns best with your needs, please feel free to use our live chat or contact our customer service team on 01752 692 206. Kingspan Kooltherm is a rigid PIR board designed to offer premium performance for roofs, walls and floors. Manufactured to be very thin, using Kingspan Kooltherm in your build or domestic project can minimise the amount of depth needed for insulation, giving you more floor space, ceiling height or loft space. 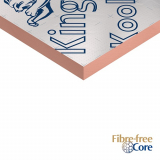 Thanks to their fibre-free core they’re easy to install and safe, with thermal conductivity as low as 0.018. Commonly specified by builders, contractors and developers, Kingspan Kooltherm range can provide external wall, floor, pitched roof, and internal wall insulation in masonry, beam and block, concrete and timber builds.